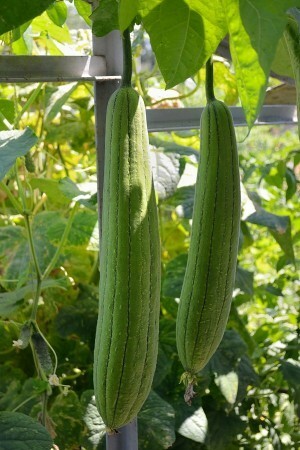 Sponge gourd or luffa is eaten as a vegetable in it's immature stage. Also known as Galka in India. The sweet honey sponge gourd is our special selected variety, vigorous and prolific. Fruit is green in color, 2 in wide and 10 in long, weighing up to 8 oz. It has excellent taste. Maturity is in 45 days after transplanting.